Avoiding contracting one of the deadly diseases such as cancer is an issue that needs to be addressed before the onset of the disease not after. Even though there are multiple reasons that can attribute to declining health, it has been proven that lifestyle…which is something we are actually in control of…is one of the prime players. Here’s a shortlist of resolutions that you can make in your own life and choices that will help you to steer clear of cancer and other insidious diseases that not only rob people and shorten their lives, they strip people of any quality of life they do have. Choose and eat healthy foods: this one should surely be no surprise. It is common knowledge that what we put into our bodies fuels us and if we are not giving ourselves the proper nutrition that contains lots of antioxidants, vitamins and minerals what can we expect our bodies to use for defense when attacked by a foreign invader? They will be defenseless and the invaders will win out. Exercise: Another given. Exercise makes us strong and can stop you from building cancer cells. You feel and look better which keeps your mind in a positive state…very important in keeping disease at bay. Quality time with family and friends: Who doesn’t like a comfy visit with those we love? This is another way to keep your mind positive…hang out with positive and loving friends and family. It provides important psychological benefits which ultimately impact your health in a positive way. Avoid stress: There is nothing good about stress…it is a killer. Stress will actually intensify any type of disease because of the negative energy that is produced. Remember this negative stress energy comes through your personal mind-body connection…you are the first one it touches and you receive the fullness of its impact. Avoid late nights: It’s ok to enjoy a late evening or two a month but to make it a habit is detrimental to your balance and ultimately to your health. Not only will you risk waking with undesirable, unsightly dark eye bags, as well as adding a new wrinkle or two in the process…you put yourself at risk for disease…for cancer. Vanish the Vices: Alcohol, cigarette smoking, and drugs are not the only bad vices but they are certainly a good place to start. These vices are key factors to acquiring cancer and other dreadful diseases like diabetes. Anxiety, addictions, food/diet and environment all play roles in causing disease. The amazing thing is we can control nearly every one of them. One of the prime reasons there is so much cancer now is that we have not been focused on addressing the cause of disease. We have looked for solutions to disease outside of ourselves when all along we held the power right within our own choices, our lifestyle and diet choices. There is really only one true cure and that’s prevention and no one can do that for us. Cancer is a merciless killer but truth is for the most part, it can be avoided. If you put a premium on exceptional health and you’re ready to shift your lifestyle into prevention mode, let me help with “Just Say No To Cancer”. 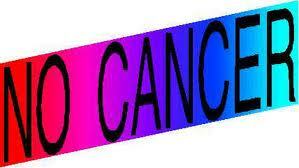 Don’t allow your life to fall victim to cancer.